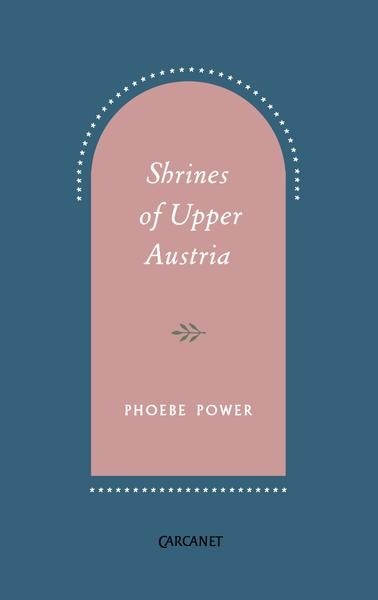 As one of the four Poetry Book Society Spring 2018 Recommendations, Phoebe Power’s debut collection Shrines of Upper Austria (Carcanet Press, 2018) sings with a variety of different notes, ranging from the gruesome details of an Austrian murder case to a moving sequence written in the voice of Power’s Austrian grandmother, Christl, who left for the UK in the aftermath of the Second World War. Power personally conceives of the collection “…as a shrine: a gathering of objects, words and images important to someone, both as discrete objects and as a composition” (Poetry Book Society Spring Bulletin, 2018). This collage effect works very well in terms of keeping the reader’s interest piqued, such that the book can be easily read in one sitting, for there is no telling what might lie around the bend at the mere turn of the page. als ein kleines neues Leben? That the words in German are left unglossed within the text is a political gesture; here, Power lets the reader sit with the fact of two languages jostling against one another: one of which might very well be incomprehensible to the reader, but this instance of incomprehension speaks volumes about the reader’s relationship to language. Why, for example, do readers in the UK and other Anglophone countries often consider multilingualism to be a novelty (something to be either celebrated or salvaged), when in fact most people the world over are multi-lingual? This brings to mind one of Vahni Capildeo’s most oft-quoted lines on language in her Forward Prize award-winning collection Measures of Expatriation (Carcanet Press, 2016): “Language is my home, I say; not one particular language.” Multilingualism is the norm in our postcolonial world, and Power sheds light on this important subject by portraying her own particular relationship to English and German in poetic form. Certainly, readers are not left entirely baffled – there is a glossary at the back of the book should the precise meaning of each German word prove to be of interest. I think this is a better way of guiding the reader towards multiple layers of understanding; first, with the foreign language simply savoured as a form of musicality within the unglossed text, then, later perhaps, as something to be precisely understood. was grateful for what she alone had the power to give away. stem, so thin and bitter it must be healthy. waking the household with its screaming, sharp-bladed purpose. plugged, the electrical socket searing with heat. Power is a poet who knows how to enter each poem with purpose, then to step off lightly when the moment is right. Her lyric portraits and prose poems are wry and knowing, with a keen attentiveness to the politics – both historic and current – of our modern world. Apart from singular truths, Power also offers scintillating imagery and deeply memorable lines, as in her poem after the Austrian figurative painter Egon Schiele: “children running / verging the dark / world of tree and linelessness” (‘children’). I did find myself wondering at times if Power could have experimented more with form: apart from list poems, narrative blocks and prose-poetry, the lyric dominates the entire collection. This ought not take anything away from Power’s debut, which, given its wide-ranging thematic concerns and historical scope, is certainly a collection not to be missed. You can buy Shrines of Upper Austria from Carcanet here. Mary Jean Chan is a poet, editor and academic from Hong Kong. Her debut collection of poetry is forthcoming from Faber & Faber (July 2019). Her pamphlet A Hurry of English is published by ignitionpress (Oxford Brookes Poetry Centre), and was recently selected as the 2018 Poetry Book Society Summer Pamphlet Choice. She received the 2015 University of London MA Creative Writing Prize, along with fellowships from VONA and Callaloo, and is currently a PhD candidate in Creative Writing and Research Associate at Royal Holloway, University of London. Fabric Texture by Abby Lanes.